My husband and I loved everything about our stay at the Royal Samaja villas. It's in a great central location to all the shops and restaurants but tucked away enough for peace and quiet. The staff are so very genuinely friendly and helpful and the restaurant was amazing with gorgeous food and coffee. We will most definitively be coming back to the Royal Samaja when we next come to Bali for our holiday. The breakfast at the Villa Royal samaja was excellent with many healthy choice. Staff in restaurant was friendly and efficient.. The villa was incredibly quiet despite being one of ten others and in the middle of Seminyak centre. The room was clean and so were the outside seating area, the plunge pool and the courtyard. The breakfast menu offered at the hotel restaurant, which was part of our package, included a wide selection of items from non veg including pork, veg to pastries. The food was well prepared and flavourful. The restaurant also offered a decent selection of alcoholic and non-alcoholic beverages. There was no additional charge for room service. The staff made our stay incredibly special by catering to our every need. We appreciated their numerous suggestions on places to visit and eat out as well as the tours available with their driver/guide at a reasonable cost. This made it easier for us to visit the tourist attractions in the south of the island without fear of being swindled. Great location near Seminyak Square and Eat Street. Large villa with a great pool and comfortable seating area to relax. Breakfast is amazing with a large range of options. The food is always fresh, tasty and well presented. The staff are very good and always there to help you with anything. The staff were all so helpful and friendly. Our villa was perfect, private and tranquil. The pool was amazing! It was good value, service was incredible and all staff friendly, restaurant included breakfast was wonderful. Location was a little problematic especially at night walking home. Better street lighting would improve the overall nighttime safety. Amazing stay!! The villa is beautiful, very quiet, super clean. Staff is really great, breakfast was amazing. It was the best place to end our honeymoon in Bali!! Thanks again! We'll. Come back for sure! The friendly staff and service was excellent and the food was excellent. The best breakfast in town. Lock in a great price for Royal Samaja Villas - rated 9.4 by recent guests. 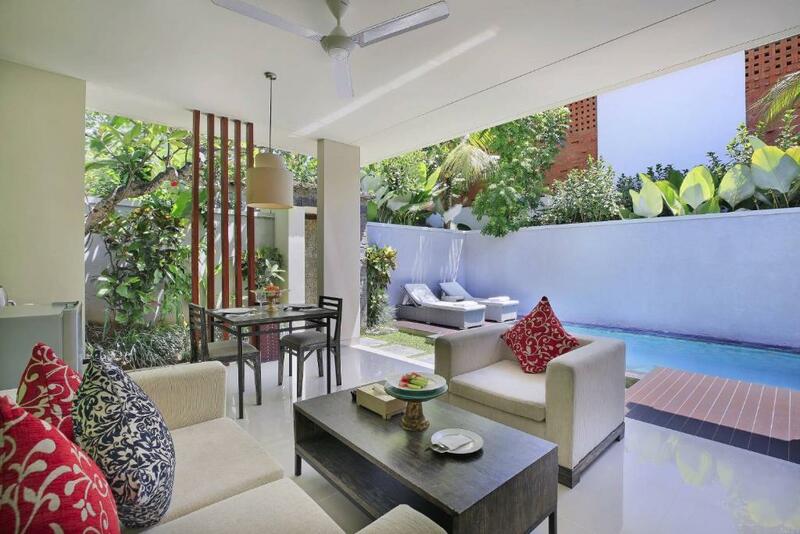 One of our top picks in Seminyak.Situated in Seminyak, Royal Samaja Villas is 550 yards from The Seminyak Square Shopping Mall. Ku De Ta is 900 yards from the property. Free private parking is available on site. All units include a seating and dining area. A flat-screen TV with satellite channels and DVD player are available in some units. Royal Samaja Villas features free WiFi throughout the property. Towels are provided. Royal Samaja Villas also includes an outdoor pool. Guests can enjoy a meal at the Kassava Restaurant & Bar. The property provides free shuttle service to Seminyak area, while other destinations can be arranged with additional charges. Petitenget Temple is 1,000 yards from Royal Samaja Villas. The nearest airport is Ngurah Rai, 6.2 miles from Royal Samaja Villas. 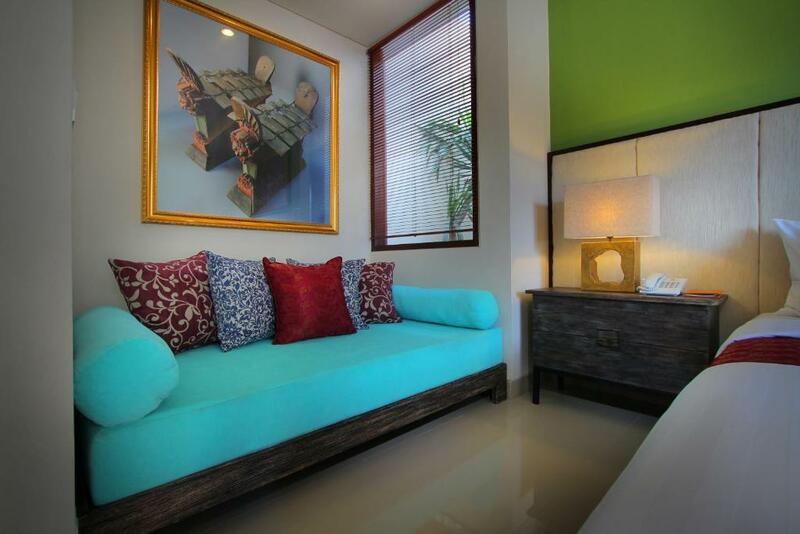 This property also has one of the best-rated locations in Seminyak! Guests are happier about it compared to other properties in the area. Royal Samaja Villas has been welcoming Booking.com guests since 7 Sept 2015. When would you like to stay at Royal Samaja Villas? 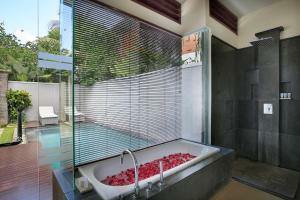 This spacious villa features a contemporary design with bright colours and offers great privacy. It comes with a separate living area, dining area, and a private outdoor swimming pool. The bedroom is air-conditioned and an en suite bathroom which has shower and bath facilities. Guests booking for a minimum stay of 3 nights enjoy free airport pick-up. Guests booking for a minimum stay of 5 nights enjoy one-time, 2 kg of laundry. 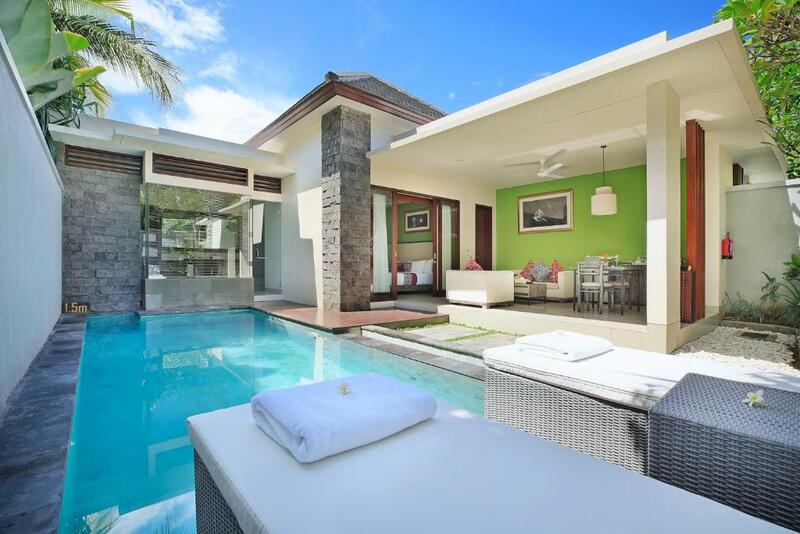 This spacious villa comes with a separate living area, dining area, and a private outdoor swimming pool. The bedroom is air-conditioned and an en suite bathroom which has shower and bath facilities. This villa has a balcony, satellite TV and spa bath. This villa features a balcony, soundproofing and hot tub. This villa has a balcony, electric kettle and air conditioning. This villa features a balcony, a private pool and a hot tub. This villa has a balcony, a private pool and a hot tub. This villa has a bathrobe, dining area and CD player. This villa features a tumble dryer, private pool and sofa. This villa has a electric kettle, bathrobe and CD player. Blessed with a privileged address in the heart of stylish Seminyak, Royal Samaja Villas is where savvy travellers want to be when they visit the island of Bali. The property is a boutique enclave comprising just 10 luxury villas in the Oberoi district. Meet Ketut Sukanada - Villa Manager for Royal Samaja Villas. Nada is a local Balinese professional experience working in hospitality since 1990. Humble and patient, helpful. Explore Bali island among the experience at this industry has enrich his knowledge. Ask him anything! Nada is there at your services during to your stay in Royal Samaja Villas. House rules Royal Samaja Villas takes special requests - add in the next step! Royal Samaja Villas accepts these cards and reserves the right to temporarily hold an amount prior to arrival. Please inform Royal Samaja Villas in advance of your expected arrival time. You can use the Special Requests box when booking, or contact the property directly with the contact details provided in your confirmation. Air Con in bedroom was leaking. My “living room” area wasn’t as lux as some of the photos I saw so maybe I had an older one. Everything else was awesome save that. The ventilation for the bathroom could be improved. The air conditioning unit in our villa had a problem and it may need to be replaced but the staff dealt with the prevailing issue in a swift and professional manner as soon as we alerted them. The fan in the outdoor seating area was quite loud and unsettling. Sometimes the staff are a bit pushy about upseling their services. Constantly asking where you are going and what you are doing then offering their servics e.g. spa treatments, laundary etc. It was starting to show some wear to tear. Needs to be refreshed around the edges.